Last year at this time, we prayed for rain, as we had experienced significant crop failure due to years of drought. 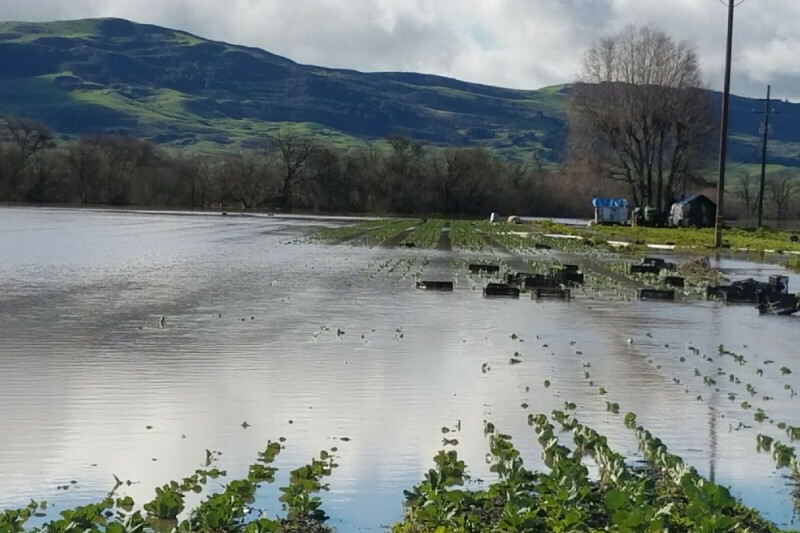 This winter, we got what we prayed for, and it has rained, and rained, and rained, resulting in flooding that has caused catastrophic damage to our farm. While we know the risk of farming fresh, organic produce looms large, this winter season has hit us harder than any of our 25 years growing organically. A thirty foot river of water swept away our tractor while wiping out over 100 acres of crops ready for harvest. Meanwhile, the flooding has prevented us from accessing 80 acres of our fields to plant for the upcoming spring crops. In all, over 1/2 of our productive land is inaccessible. Furthermore, several large electric motors that power our wells have been ruined by flood waters. Now more than ever, the generosity of our dedicated customer base will help to determine the future of our farm.